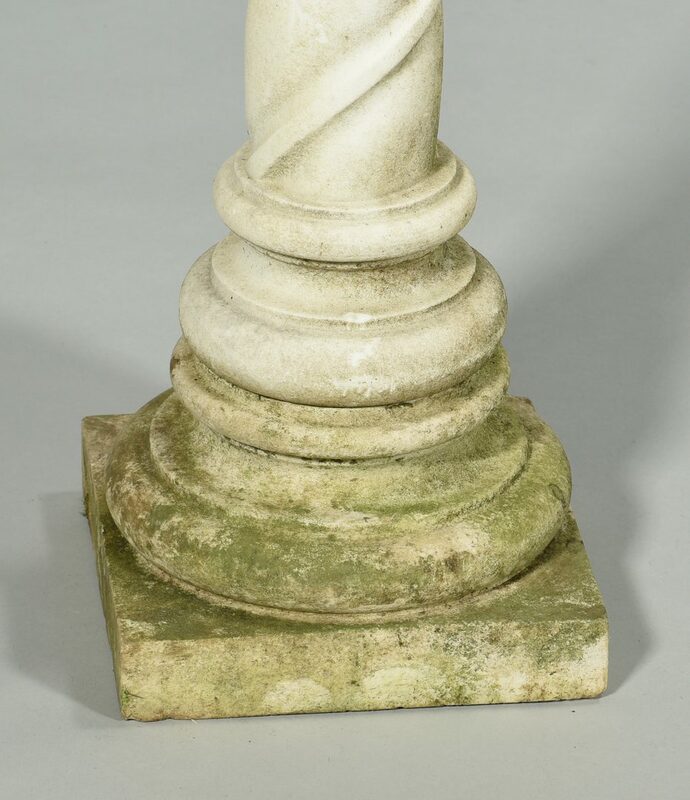 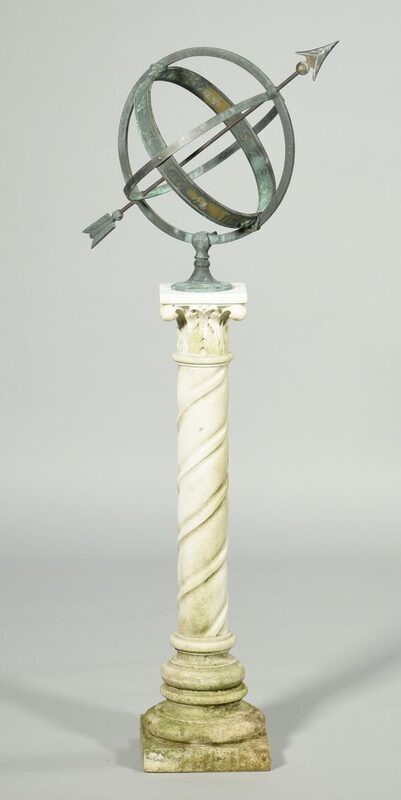 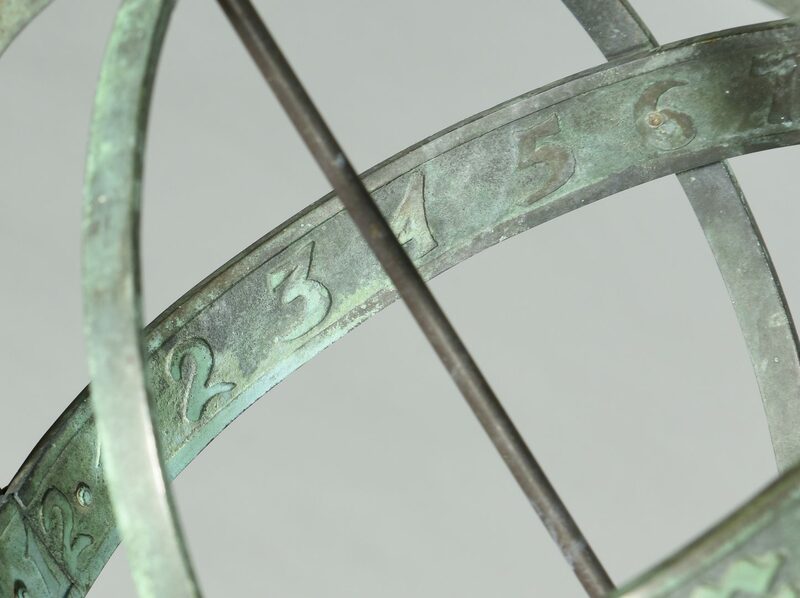 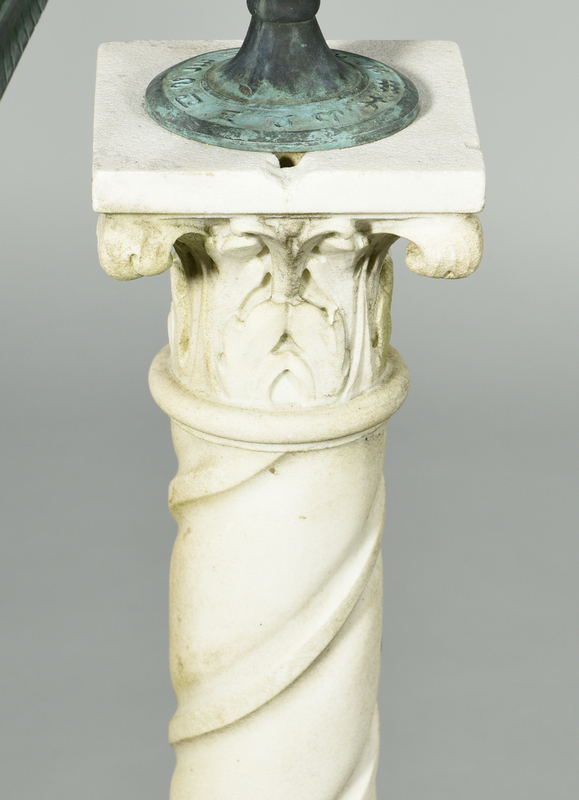 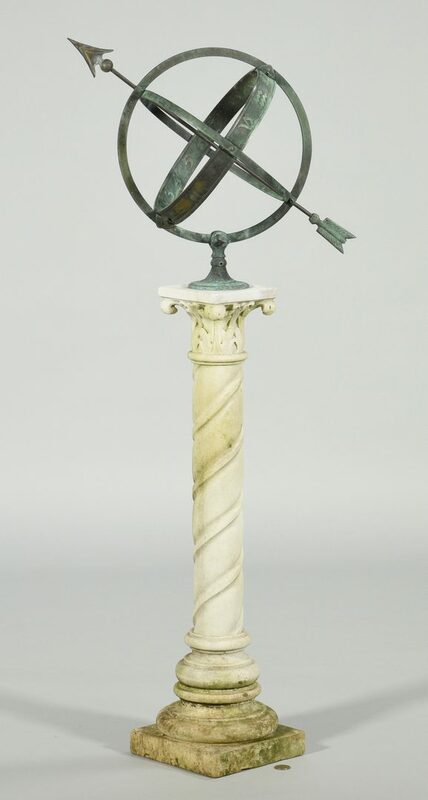 20th century bronze armillary sphere mounted on a carved marble column pedestal base. 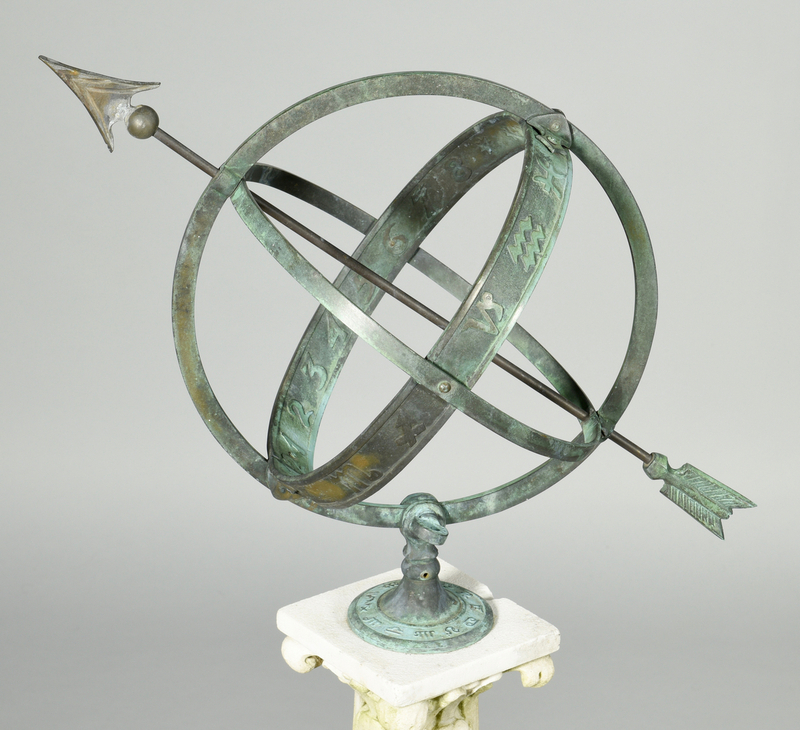 43" total H. Pedestal measures 27" H. CONDITION: Normal verdi gris oxidation to sphere commensurate to outdoor exposure. 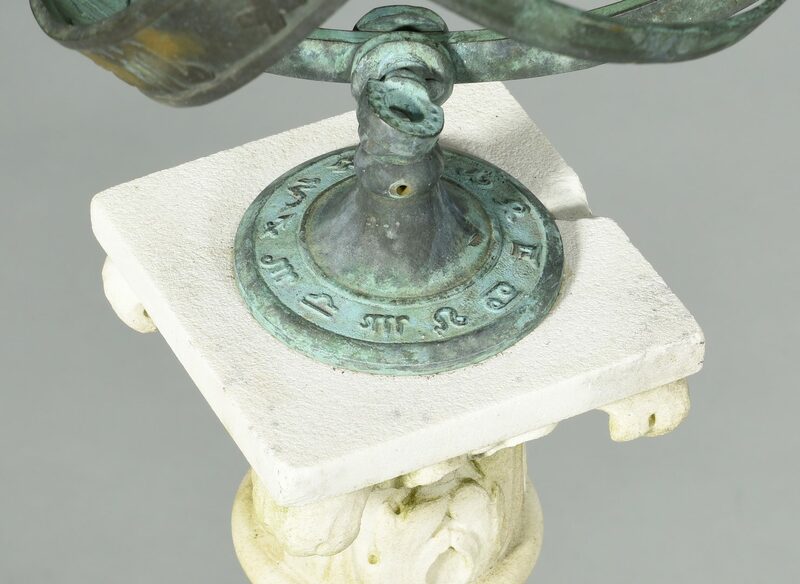 Some scattered losses to column, most noticeably near the top.